Dr. Pravin Chaturvedi, a serial entrepreneur and current President and CEO of Boston and Vancouver based Pivot Pharmaceuticals will be this year’s conference keynote. This is an opportunity to hear from someone who has successfully built a number of ventures within one of the largest target markets for Atlantic Canadian companies, and speaks directly to our conference theme of INNOVATE – INSPIRE – INVEST. Dr. Chaturvedi is a regular event speaker, having presented at a number of industry events as well as to academic institutions, including Harvard University. Dr. Chaturvedi was the founder of Boston-based IndUS Pharmaceuticals, which was recently acquired by Pivot. He is also the co-founder of Florida-based Oceanyx Pharmaceuticals. He remains an advisor to San Francisco-based Napo Pharmaceuticals, where he was the President and Chief Scientific Officer. 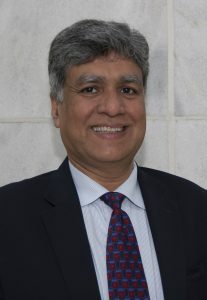 Prior to his tenures at Pivot, IndUS, and Napo, he was the President and Chief Executive Officer of Boston-based Scion Pharmaceuticals, which was acquired by Wyeth (now Pfizer). Dr. Chaturvedi serves on the boards of Pivot, Oceanyx, Sindu Research Laboratories, Cellanyx, Bach Pharma, and two non-profit organizations, FuelEd Schools and PRADAN USA. He has previously served on the boards of Scion Pharmaceuticals, Sindu Pharmaceuticals and TiE Boston. He is an adjunct faculty member at Georgetown Medical School and serves on the advisory boards of several entities including Springboard Enterprises, North Shore InnoVentures and UberDoc. Over his 25+ year career, Dr. Chaturvedi has participated or led the discovery and/or the development activities for several new chemical entities (NCEs), culminating in the successful development and commercialization of several new drugs that are currently marketed by various companies. Prior to his entrepreneurial journey, Dr. Chaturvedi spent several years at Vertex Pharmaceuticals as the Head of Lead Evaluation and was in the preclinical group at Alkermes. He started his career in the Product Development group at Parke-Davis/Warner-Lambert Company (now Pfizer). Dr. Chaturvedi holds a Ph.D. in Pharmaceutical Sciences from West Virginia University and a Bachelor’s in Pharmacy from the University of Bombay.